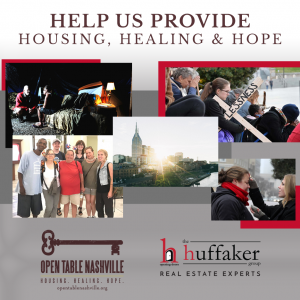 This Holiday Season, the Huffaker Group has teamed up with Open Table Nashville to make a difference in our communities. 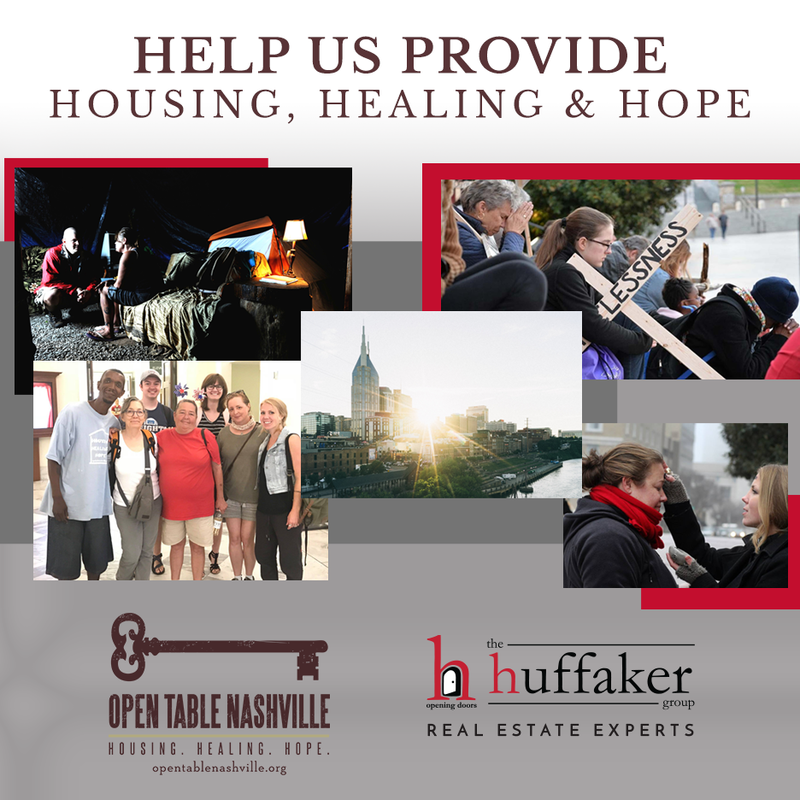 Open Table Nashville is a service organization aimed at helping the homeless population in Middle Tennessee through amazing community efforts that seek to provide micro housing units for the city’s homeless men, women and children. At the Huffaker Group, we are passionate about building up our communities and being responsible business owners that enrich the lives of those we have the pleasure to serve. Through the end of 2018, The Huffaker Group has pledged a financial donation for every home we list and each referral we receive! We are proud to be a partner with Open Table and are grateful for the opportunity to serve our great city! Your support matters! Please contact our team today and let us share with you how we can be intentional together about changing lives! At The Huffaker Group, we believe in the pursuit of better for everyone! A community of 20 micro homes that will provide bridge housing for homeless people is planned on the campus of Glencliff United Methodist Church in south Nashville. 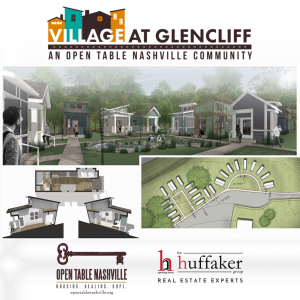 Open Table Nashville, a nonprofit group that advocates for low-income, affordable housing, is leading efforts to create the Village at Glencliff in partnership with the United Methodist Church. Call The Huffaker Group today at 615-208-3285 to learn more!